Happy Taco Thursday! Our go to Veggie Black Bean Tacos, Spiced Butternut Squash, Lemony Massaged Kale, Quick Pickled Cabbage and avocado make for the yummiest Fall Taco Buddha Bowl. 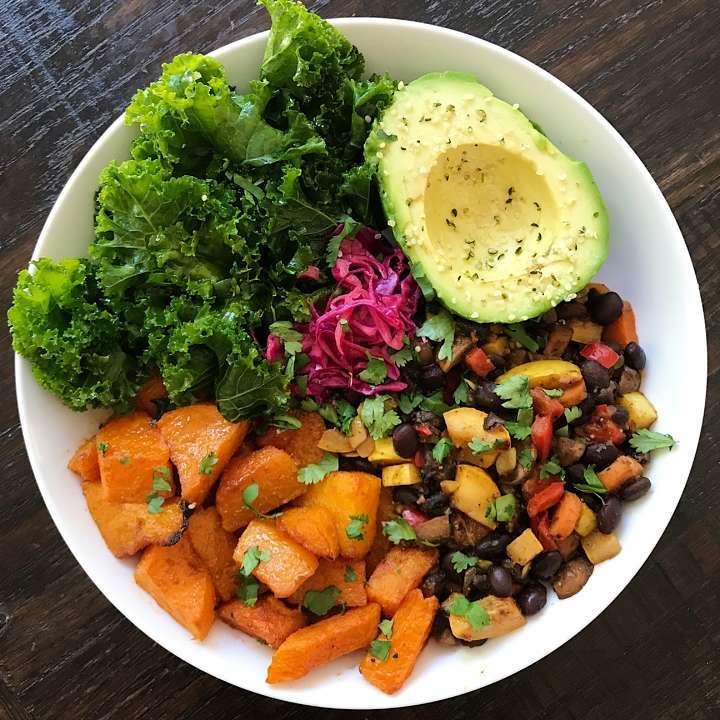 This taco mix is a favorite of my husband’s but I was in the mood for a salad so while the rest of the crew ate tacos, I turned our go-to veggie bean taco mix into a yummy Fall buddha bowl. 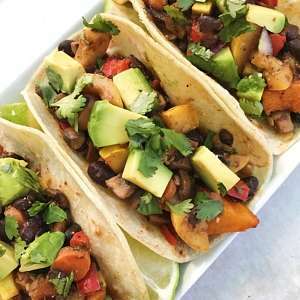 The taco mix basics are carrots, peppers, mushrooms, yellow squash and black beans sautéed with Mexican spices. Separately I roasted some butternut squash with cumin and paprika, added some massaged kale, quick pickled cabbage and of course avocado. Together it was fresh and YUMM! This mix is a favorite of ours that can be made ahead and works equally well in a quesadilla, burrito or taco. It always makes a large quantity which is great for leftovers too. Put it all in a bowl and enjoy!